In Cycle Three of Classical Conversations students study and memorize facts about US Geography, US History, and human anatomy. I’ve rounded up some games, books and media to help supplement the memory work for Cycle Three. Several of these may find their way under the Christmas tree this year. I’d love to know if you have any resource you particularly enjoy using for Classical Conversations Cycle Three. USA and Continents Tracing Board from Treasures from Jennifer. Perfect for the younger CC student to learn the general shape of each state. Scrambled States of America game is a fun and interactive way for children to learn the location, names and capitals of each state. The 50 States Book is comprised of illustrated maps and facts about famous people and events for each state. Draw the USA book provides simple step-by-step instructions on how to draw the states and the USA as a whole. Beautiful Feet Books Early American History packs allow you to study history through literature. A few of their packs include the Your Story Hour radio theater dramas about history events. Somebody Board Game is a fun game for many ages. Use the game as a puzzle, or play the game to learn names, functions and location of body parts. 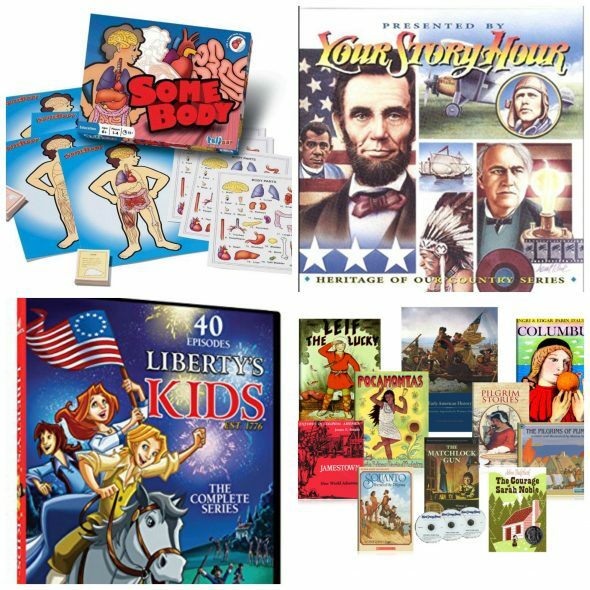 Liberty Kids DVD follows characters back in history as they journey through the high points of the American Revolution. Professor Noggin’s Trivia Card games have several subjects that correlate with CC Cycle Three. Check out The Human Body, The Fifty States, Geography of the United States, and History of the United States, plus many more.